Do you remember the first time you felt ashamed? 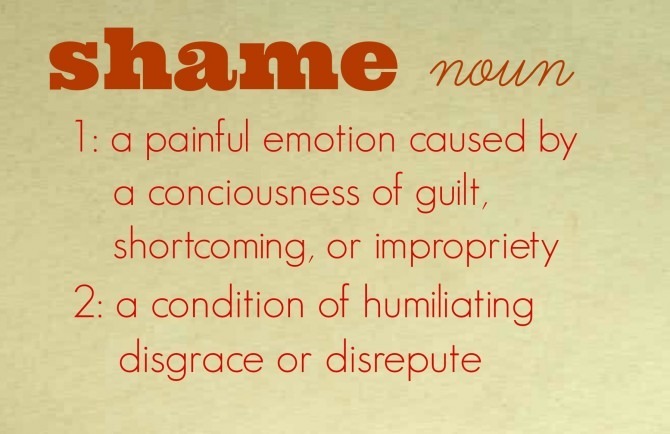 Shame is such a powerful emotion that the memory of it often lingers much longer than it is welcome. I don’t know that I can recall my first experience with shame, but one early memory of feeling ashamed does stand out to me. I was in the fourth grade, and was one of the top students in my class. Some might have called me a nerd, or a Teacher’s Pet; I preferred to think of myself as academically ambitious. (Those might not have been my exact words at the time. . . .) But despite grades that indicated otherwise, math was never my forte. Nevertheless, it would be another year before I would be promoted to the “advanced” math group, so by some sort of fluke, I happened to be the best student in Mrs. Brown’s fourth grade math class. It was an ordinary Friday out in the trailer where our morning math class was held. We had just completed one of our weekly quizzes and passed them in to our teacher, who shuffled the quizzes and redistributed them among her thirty students for us to grade. We dutifully pulled out our red ball-point pens and prepared to correct one another’s papers as Mrs. Brown read off the answers to each question. As we worked our way through the answers, a painful realization slowly dawned on my flustered brain: each problem we were correcting was a multiplication problem, but I had solved every problem on the quiz using division. The student whose paper was in front of me had answered each problem correctly, but the only quiz concerning me now was my own quiz which, at this very moment, was being graded by an unknown student somewhere in that very classroom . . . and was undoubtedly being filled with bright red marks. Sure enough, when Mrs. Brown had us return our quizzes to their owners, a student from across the room meandered toward me, eyes wide because the paper he held – the quiz belonging to Kendra, smart Kendra, the Kendra who always got perfect grades – held a bright red F. Though I’d been expecting this, tears flooded my eyes and a wave of humiliation washed over me. Never had I been so embarrassed. I had gone into this quiz with confidence and, yes, quite a bit of cockiness, only to be flattened by the worst grade of my life. Papers returned, Mrs. Brown began calling out our names one by one, asking us to recite to her – and the class – the grades we had just received. When my name was called, I tried to answer, but no words came out, only stifled sobs. I slowly made my way up to the teacher’s desk, where I whispered my abysmal grade into her ear. I could see the disappointment enter her face as I showed her my tear-stained quiz, my initial penciled responses barely legible through the damning marks of another student’s red correction pen. At that moment, those red marks, and the pity in my teacher’s eyes, told me all I needed to know about myself: I was a total, undeniable failure. I would never again succeed at math, or at school, or even in life. And at that moment I was overcome with an acrid, unadulterated, paralyzing shame. Looking back, that single quiz was utterly insignificant. Not only did it not deter me from many more successful years in school, but it ultimately had zero impact on my grade in that class (the teacher allowed me to retake the quiz, and this time – having read the directions – I aced it without a problem). But the memories of that horrible grade, and the shame that accompanied it, have never quite left me. Never again have I felt confident in my math skills. Not once since that fateful day have I entered into a quiz or a test without feeling positive I would fail. I had failed that day in math class, and instead of accepting my mistakes, learning from them, and moving on, I embraced the shame of that moment and allowed it to permeate my very core. I’ve experienced countless failures since that day when I was ten, and each of them has left its mark, chipping away at my sense of self worth and leaving me feeling inadequate and, at times, entirely useless. Cognitively, I know that these feelings of inadequacy are unfounded. I’ve sat through enough therapy sessions, and immersed myself in enough scripture to know that they are lies from the Enemy and are not to be believed. And yet I struggle to reconcile the truth of my failures with the fact that I am not a failure. I was recently listening to a podcast in which the host was interviewing a guest who had experienced a fairly spectacular business failure. Despite the demise of her once flourishing company, this woman was choosing not to dwell on her failure or wallow in feelings of shame. 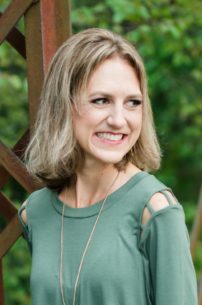 Her response to the situation was both practical and optimistic: “You can embrace failure,” she said, “without embracing the shame that comes with it.” I love this response! Failure in life is inevitable, and it’s pointless to pretend that we never make mistakes. But acknowledging our failure does not mean that we must burden ourselves with its accompanying condemnation. 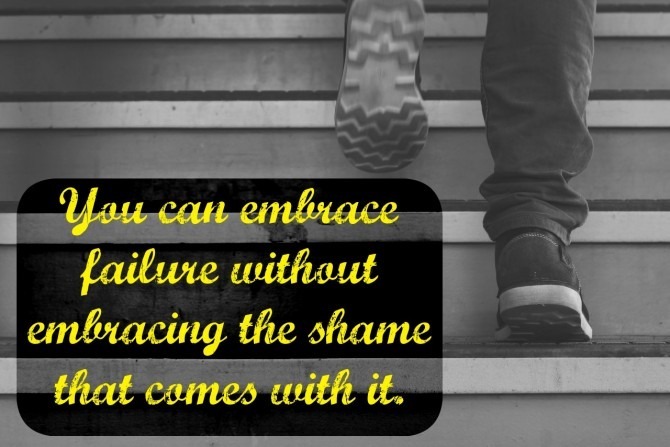 Failure need not be an impenetrable roadblock; instead, it can be a stepping stone on our path to success. None of us wants to fail in this life, and for some of us, it’s harder to move past a failure than others. But I love the reminder that failure does not mandate a response of shame. I am thankful to serve a merciful God, who welcomes my imperfections and whose grace covers all of my inadequacies. 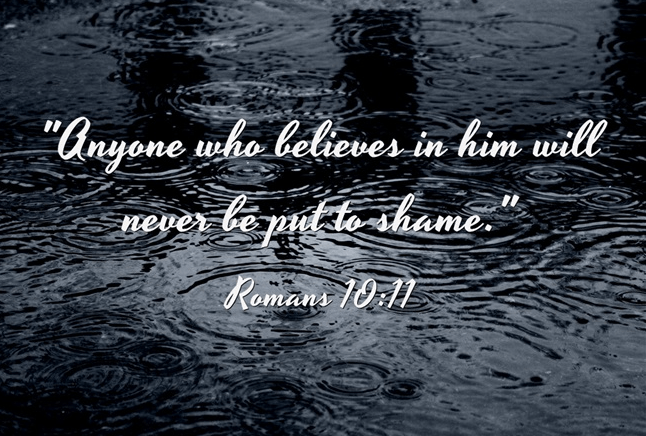 Scripture reminds me that, “Anyone who believes in him will never be put to shame.” I am God’s precious and beloved child, washed clean by His sacrifice. Who am I to condemn myself to feelings of disgrace and shame, when I am blameless in the eyes of my Creator? This might always be a struggle for me, but today I choose to delight in His image of me and embrace the identity of the one whom He proclaims me to be!